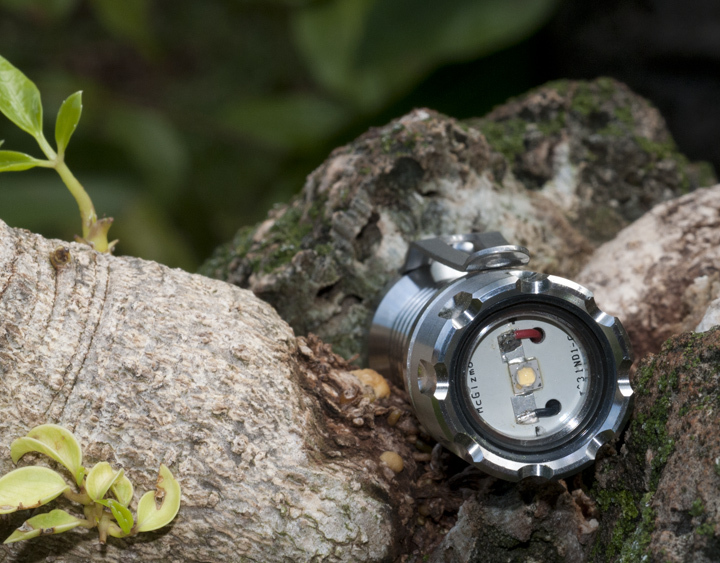 For more info on the High CRI LE at the core of this light, See Nichia 119 LED. The Mule head is the same design and physical form as the Aleph Mule head I used to offer in aluminum but this one is in 6-4 titanium. It has a 1mm thick Sapphire window. The 1x123 McClickie pak is the same pack used with the SunDrop and Haiku. Like all of my Ti lights, the Mule High CRI is designed to be sealed from the environment and external pressure but I make no claim or suggestion that it is a dive or underwater light. Any chance of getting a custom Mule 2x123 with the 6V LE? I don't want to confuse these waves with all of the possible combinations but that doesn't mean the can't be had. With the 6V LE, the drive level will be ~450 mA. If you guys want to figure out prices, The Mule High CRI head with 3S LE is $235 and with the 6V LE it's $240. Pack prices are as posted elsewhere. Email sent for standard version. Thanks for your quick reply, I might get a 2x123 6V in the near future. For now, I'm looking forward to your Mule High CRI. Don, I could not find what drive level the 3v Mule is driving the 119 Nichia at although I may have missed it. Would you mind stating it (or repeating it) please? easilyled - drive is 500 mA on the 3V LE. Awesome. Just when I thought my collection was complete, I realize that it definitely isn't complete without one of these!! Email sent for one High CRI Mule. Last edited by run4jc; 10-23-2010 at 04:36 PM. EDIT : Seems to be on my providers' side, the problem, I just resent from my work mail address and it seems it went through. Weird, I mail constantly with Don.. I want a Titanium Mule high CRI with a 2xAA body. I'm in for the Mule head only. Payment sent with Haiku purchase. Last edited by Barbarian; 10-23-2010 at 05:58 PM. Barbarian- I'm with you, if that's an option. I'm in for the head only if that is an option as well. I will take one , Email will be sent . I am also in for just the head alone if and when they become available. Why is the light called a mule? I have seen this term before but never asked, I am looking for my first Mcgizmo and funnily enough there are many options! It's a description given lights with no reflector and they put out a very smooth beam with no hotspot. Not much throw at all, but such a smooth and seamless beam pattern. I coined the term mule a while back because I needed a name for a light and I wanted that name to reflect the nature of the light. I perceive the mule as an animal that just does its work with no glamor. Nothing to brag about. Unlikely to be any contestant; what contest? You can get this as a High CRI Head only and I am willing to offer the head without LE for those interested. If you want the titanium mule head empty with no LE the price is $110 plus postage. I didn't want to start this wave and confuse the issue with all of the possibilities. 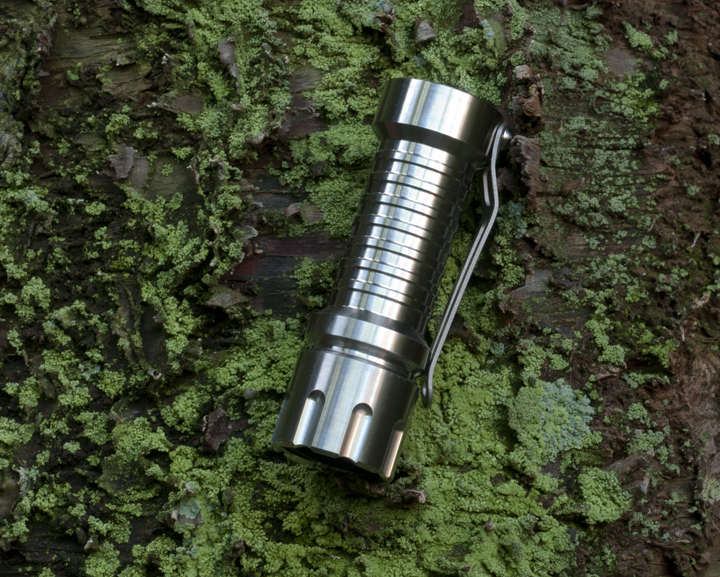 The price for a Mule that was host to a XP-G LED instead of the Nichia 119 would be the same. I need to get around to editing the UV wave with the addition of this titanium mule head as well. This titanium mule head has the same geometry as the previous aluminum version and some will note that it seems to have a short skirt when coupled with the battery pak. The O-ring is digested in the head but can still be viewed. This consideration was originally made for use with the SF L1 lights and other battery paks that had shorter penetration than typical or the standard. The mule head has a lot of potential applications. The LE in a Makai can easily be removed with no concern to reflector alignment or O-ring positioning and screwed into a Mule head and then returned to the Makai. Obviously the thermal relief would not be the same!! What about the price of a head/bezel with the light engine in it but no body/battery pack ? Well, if no 2xAA pak is available by now, I'll take a "normal" Mule high CRI! Last edited by Henk_Lu; 10-24-2010 at 03:12 AM. Reason: PAYPAL sent! Don, thanks for the shipping confirmation! PayPal sent. It'll be my pleasure!! My shipping notice came a while ago also ! !